Design Planning Concepts pattern No. NM248. Kanustandit Coat and Eason Pants, designed by Nancy Mirman. 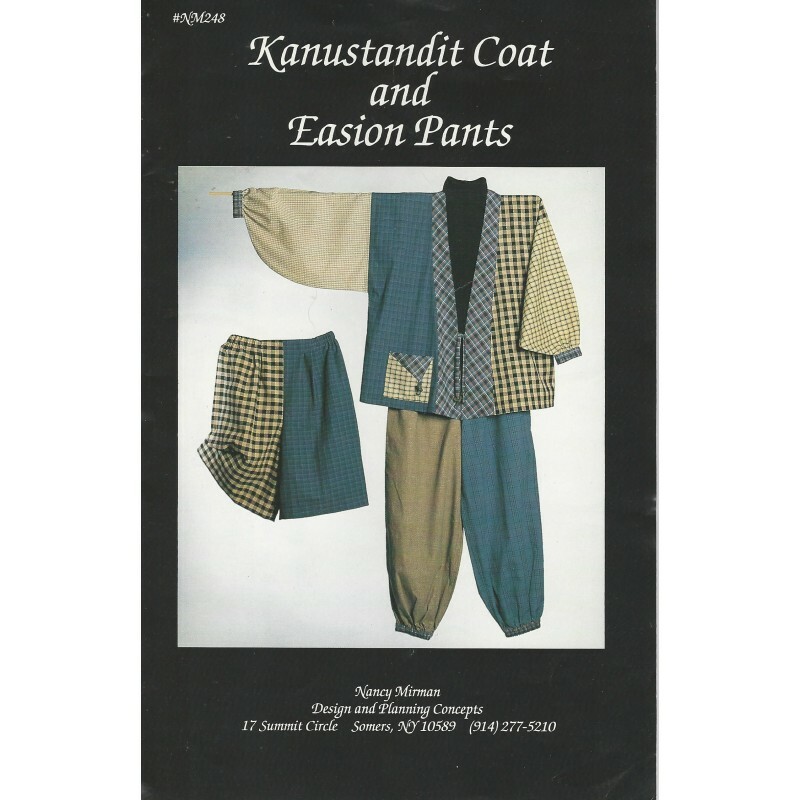 Loose fitting and comfortable looking women's jacket, pants and split skirt sewing pattern. Perfect for quilters or anyone who wants to get creative with different fabrics. Finished seams and elastic cuffs. You can sew something beautiful, creative and fun to wear with this pattern! Discontinued. Original, authentic pattern. Not a download or copy. Condition: Unused and uncut. Still in factory folds. Still in original plastic bag holder.